Please join us in raising funds so the after school soccer program at Cesar Batalla Elementary School in Bridgeport can run for the third consecutive year!! 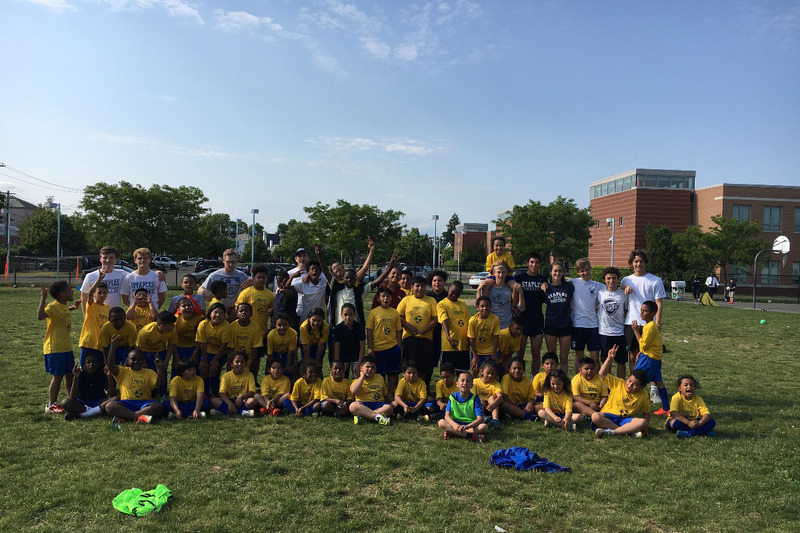 The program provides 60-80 students at Cesar Batalla with access to a team sport while offering Staples High School soccer players the opportunity to train and and mentor younger students from diverse backgrounds. Without your help, we can't run this program! Directed by two current Staples soccer coaches, the program provides the Cesar Batalla students with stability and the opportunity to develop their skills and passion for the game they love. 100% of Cesar Batalla students qualify for state provided breakfast and lunch by the school, which means they fall into the highest bracket of poverty. The kids have no access to sports without programs like this. The social, emotional, and physical impact of getting these kids running around as part of a team sports is invaluable. It also provides Staples students with the opportunity to give back to the community by promoting the sport they love. The SHS staff will be overseeing 60-80 1st to 4th grade students. As the program continues to develop, we have had the joy to witness the Cesar Batalla students experience training with positive role models and the privilege of watching the Staples students become those role models. Brighter Lives for Kids Foundation is a 501(c)3 nonprofit and your donation is tax deductible to the fullest extent allowed by the law. More information about Brighter Lives for Kids Foundation Inc.: Brighter Lives for Kids Foundation is a non-profit organization exclusively run by Fairfield County volunteers. The Foundation's primary focus is to offer educational and enrichment opportunities for elementary school children in Bridgeport, CT that would not otherwise be available. Brighter Lives for Kids Foundation Inc.